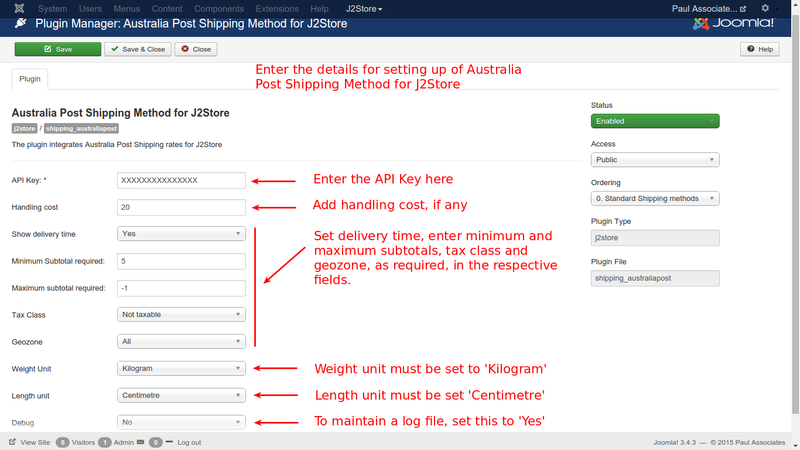 This plugin integrates J2Store with Australia Post Shipping rate API. 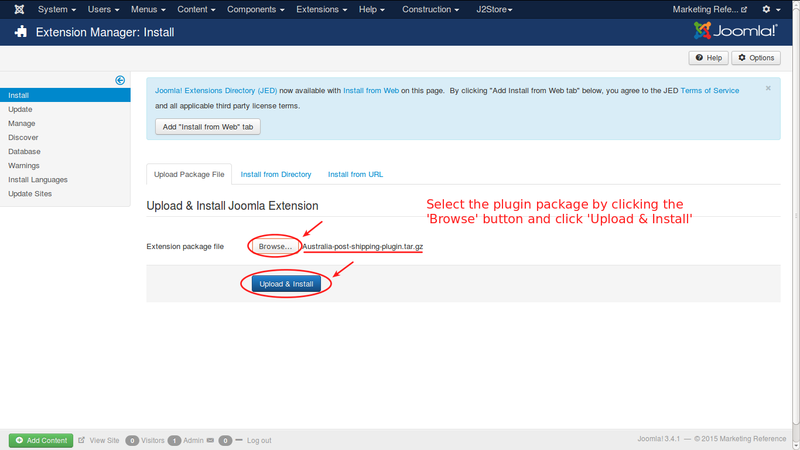 You can install this shipping plugin, using joomla installer. 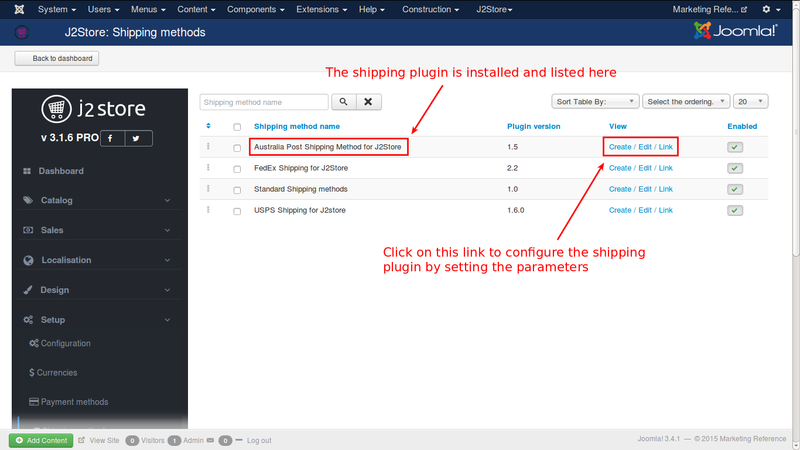 Check the image below and set up the shipping parameters as illustrated in the image. This is your Australia post API key. It will be given to you once you create an Australia Post account. If a handling cost is applicable for the shipping, you can enter the cost directly in this field. If a minium quantity is required to avail this shipping method, you can set it here. If there is a limit in the quantity to use this method, set it here. If the shipping cost is also taxable, you can select a tax profile here. 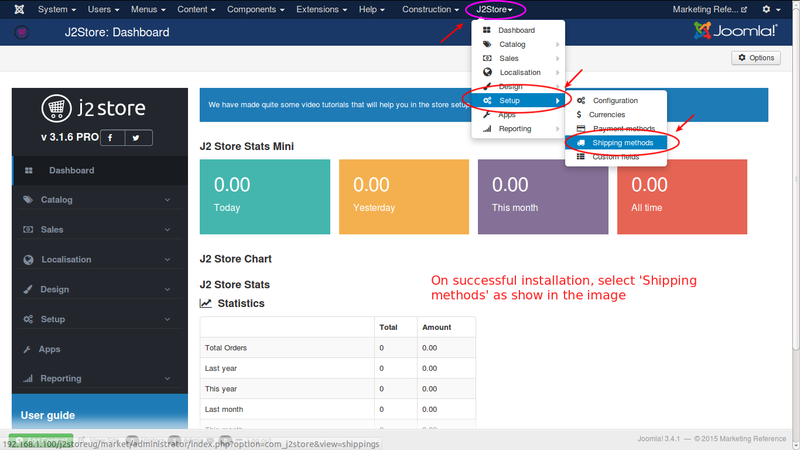 If you have limitations in applying this shipping method, you can select the areas that are eligible, by selecting the corresponding geozone here. For using this shipping method, the weight unit must always be set to Kilograms only. No other unit is allowed. The length unit for this shipping method must be set to Centimetre. No other unit for length measurement is entertained. If you enable this option, a log file will be maintained for error debugging. This debug file will be stored in cache folder. IMPORTANT: Apart from the parameters set here, to use Australia Post Shipping Plugin, it is mandatory to set the default currency as Australian Dollar - AUD and the country of the store as Australia, in the store configuration setup. If it is not met, this plugin can not be used. Thankyou for using our extension.